Not only is Kelly Benoit-Bird unbounded by species classifications, she also is unrestrained by the dimensions of time and space. Kelly Benoit-Bird studies ocean organisms smaller than a microchip and bigger than a luxury motor home — the tiniest crustaceans to the mightiest cetaceans. In effect, she studies just about anything that swims or drifts in the sea: copepods and krill, diatoms and dinoflagellates, siphonophores and salps, spinner dolphins and Humboldt squid, Pacific sardines and sperm whales. Not only is she unbounded by species classifications, she also is unrestrained by the dimensions of time and space. What drives her research is, indeed, the traversing of those very dimensions by animals and plants in search of survival. Watch dolphins corral their quarry and work together to feed in these animations. Read more. As a pelagic (open-ocean) ecologist, Benoit-Bird investigates the intricate interactions among predators and prey that take place day and night, full moon to new moon, summer to winter, El Niño to La Niña in Earth’s vast oceans. 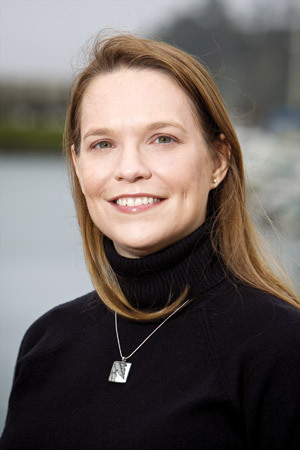 “Despite the apparent variety of the ongoing research projects in my lab, all of our research aims to understand the role of spatial and temporal patterns in ecological processes on spatial scales ranging from sub-meter to hundreds of kilometers, at temporal scales of minutes to years, and over a range of animal size from zooplankton to great whales,” Benoit-Bird explains on her webpage for Oregon State University’s College of Oceanic and Atmospheric Sciences. The challenge is almost beyond imagining. Within the world’s 326 million cubic miles of seawater, most species interactions happen where humans cannot witness them. Besides, as Benoit-Bird points out, the marine environment is in constant motion. On land, plants hold fast to the ground. Forests may be complex ecosystems to study, but at least they stay put. At sea, plants drift on tides and currents, rising and falling in the water column with the sun and the moon and the seasons. — likely hold critical clues to how ocean ecosystems work. To get inside those mysteries from the deck of a research vessel, Benoit- Bird has been developing a whole new generation of tools. She uses sonar technologies to collect acoustical data that are then fed into computers for analysis. To broaden their options, she and her collaborators have experimented with linking disparate gear types, such as video cameras and echosounders (devices that locate layers and schools of organisms by sending out pulses of sound waves). They’ve designed new uses for old standbys, like retrofitting a remotely operated vehicle (“a little tethered robot”) to find and track plankton layers by following water density. They’ve invented a new kind of sonar to study the distribution of individual zooplankton inside thin layers. Her ambitious research goals, supported by the National Science Foundation and other agencies, necessarily push her toward more expansive technologies. Computer animations created from recent acoustical studies show fish diving through plankton layers, gobbling holes in the tightly packed, food-rich patches. Another animation shows spinner dolphins swimming in tight formation to corral layers of lanternfish during coopera- tive feeding.